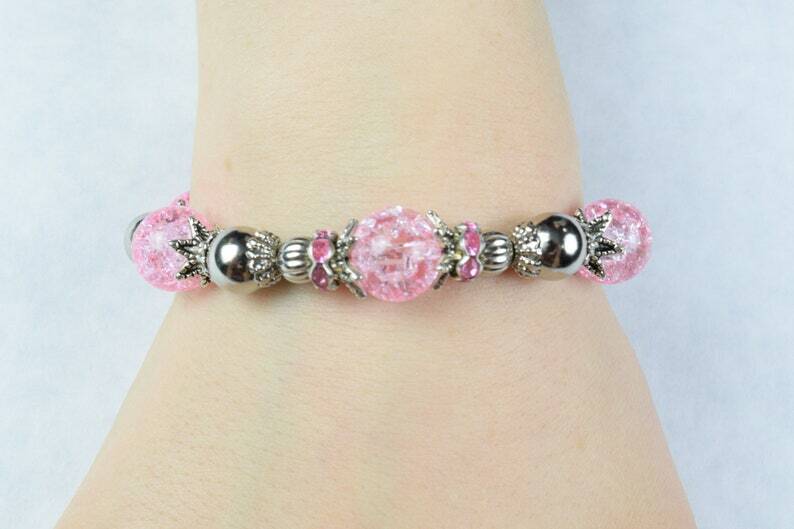 What's better than a gorgeous bracelet that's sparkly, shiny and PINK? This handcrafted piece features pink rhinestones framing the focal point bead, pink acrylic beads and silver plated findings. Makes a great gift for daughters, granddaughters, mothers, and cousins.